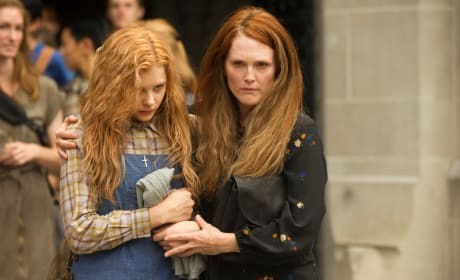 Julianne Moore and Chloe Moretz star in Carrie. The remake of the Stephen King classic lands October 18. Carrie star Julianne Moore. 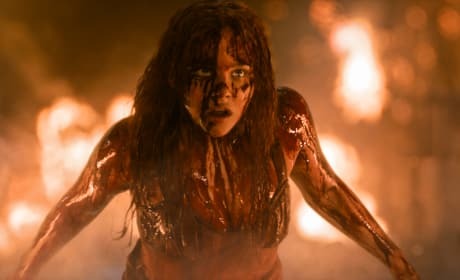 Chloe Moretz plays Carrie. Chloe Moretz strikes a pose that is slightly different than that from the original Carrie. Moretz plays Carrie as a bullied teen, both at home and at school. 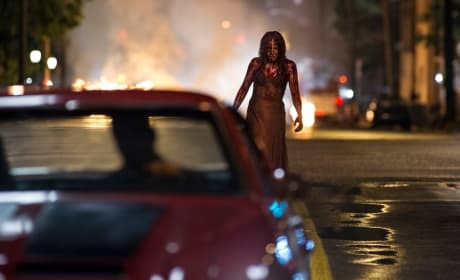 A still from Carrie, starring Chloe Moretz. 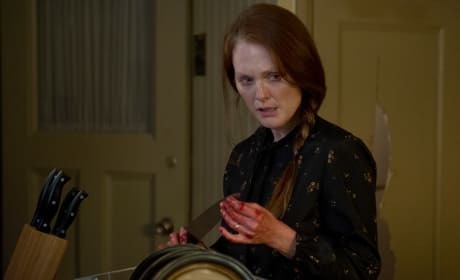 Julianne Moore also stars. 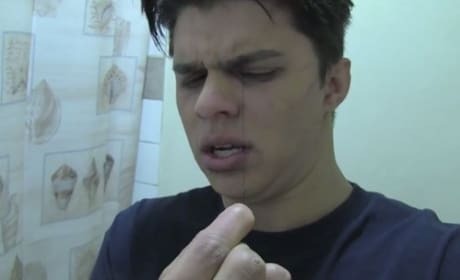 The Paranormal Activity gets a spin-off and David Fernandez stars. Paranormal Activity: The Marked Ones takes the action into a Latino neighborhood. Julianne Moore and Chloe Moretz star in Carrie. The remake of the Stephen King classic is in theaters now. A photo from the climax scene of Carrie. Chloe Moretz is Carrie in the remake of the Brian De Palma classic. Jaime Murray stars in Fright Night 2. The sequel to Fright Night is out now. Jennifer Lawrence and Max Thieriot star in House at the End of the Street. The horror film opens September 21. 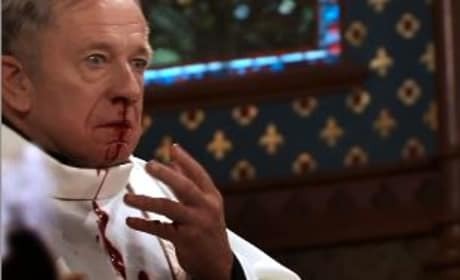 A still from the movie Devil's Due. The horror movie is due January 17, 2014. Max Thieriot and Jennifer Lawrence star in House at the End of the Street. The horror film opens September 21. The cast of Ghost Team One. Ghost Team One is a horror movie send up, told as a found footage movie. Happy Friday the 13th! Celebrate with the Original 1980 Movie Trailer! Lloyd: What will you be drinking, sir? Jack Torrance: Hair of the dog that bit me, Lloyd. You've fooled them, haven't you Michael? But not me. Permalink: You've fooled them, haven't you Michael? But not me.